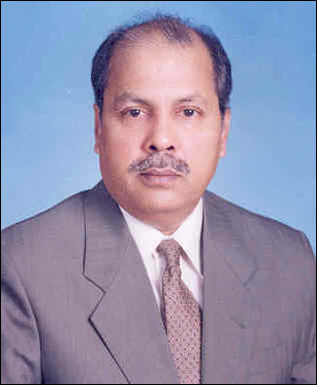 Enrolled as an Advocate of the High Court and then as an Advocate of Supreme Court of Pakistan. Elected as Honorary Secretary of the Sindh High Court Bar Association, Karachi for the year 1999-2000. Practiced mainly on the civil corporate side and remained Legal Advisor of various multinational and local Companies, Banks and Financial Institutions. Elevated as Judge of High Court of Sindh on 27.08.2002. Remained Member Board of Governors BESTECH, NED University of Engineering & Technology, Sir Syed University of Engineering & Technology, Iqra University, Ahmed E. H. Jaffer Foundation and Agha Khan University, Karachi, Pakistan. Chairman Development Committee, Sindh High Court Karachi. Remained Chairman, Enrolment Committee of Sindh Bar Council, Karachi, Pakistan. Remained Chairman, IT Committee of Sindh High Court, Karachi. Attended 2009 Study Tour for Pakistani Judicial Officials on International Cooperation in Terrorist Cases sponsored by the United Nations Office on Drug and Crime at Viena, Bonn and Berlin. Attended Intensive Study Programme for Judicial Educators conducted by Commonwealth Judicial Education Institute, Canada with sessions at Halifax, Ottawa and Toronto and conferred Fellowship by the Institute. Notified as Senior Puisne Judge of High Court of Sindh on 14th February, 2011.